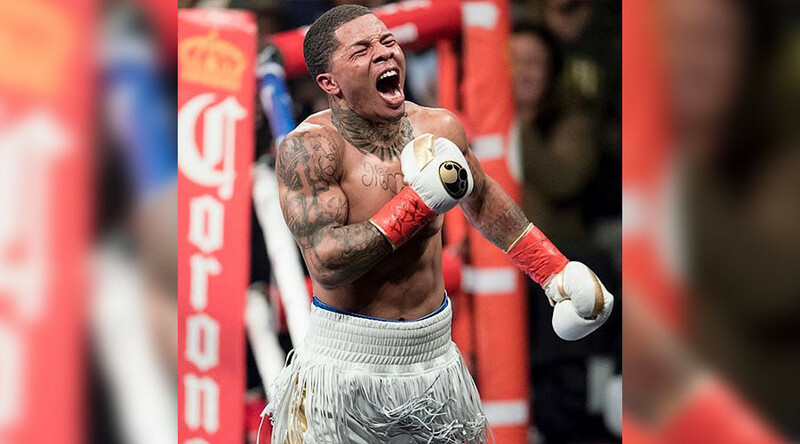 The boxer in question, Gervonta Davis, is promoted by the five-weight-division former world champion’s company Mayweather Promotions and had just crushed Jose Pedraza with a devastating right hook to record a seventh-round stoppage on the undercard of the James DeGale vs Badou Jack fight in New York City. There were many reasons to laud Davis’ performance; he had inflicted a first defeat on the Puerto Rican champion. But with the win he also took Pedraza’s IBF super featherweight title, making him the youngest world champion in boxing today at 22 years old. “It felt great, you know, just doing that in front of my fans, taking boxing more serious,” Davis told ShowTime sportscaster Jim Gray in the post-fight interview on achieving the distinction. Davis - nicknamed 'Tank' - also revealed he had studied his promoter and mentor Mayweather, who coincidentally won his first world title at super featherweight, but he was keen to emphasize he had focused on Mayweather the boxer, not the promoter. “For this camp I studied ‘pretty boy Floyd’, not ‘Money’. "It feels great to bring this win back to Baltimore. Hard work pays off, and I accomplished my goals. I believe in my team," said Davis. Before being picked up by Mayweather Promotions, Davis fought out of Upton Boxing Center in his native Baltimore, Maryland. There he compiled a stunning record of 206 wins and only 15 defeats and has so far won all of his 17 fights since turning professional in 2013, 16 of which have come by way of knockout. It seems the Mayweather camp believe the sky's the limit for their young charge. “For this training camp, I didn’t want to be around him [Davis] I didn’t want to talk to him," said Mayweather.